Computing – Don’t eat me! 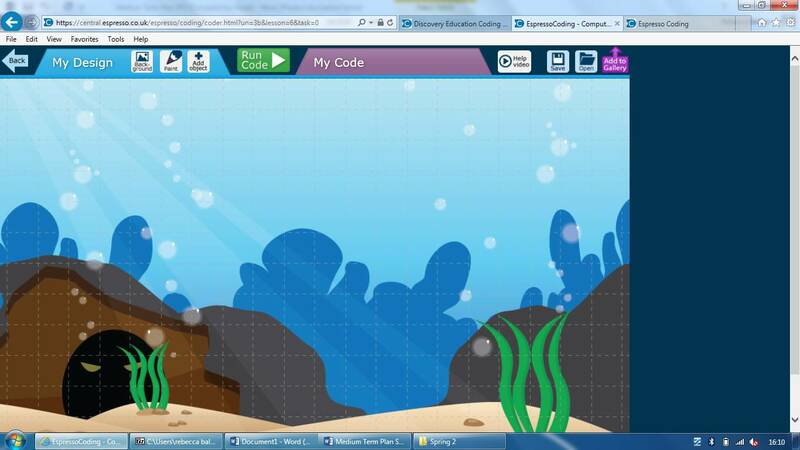 In the Spring term Opal class were using Espresso to design a programme in which a small fish escapes a big fish. First we created the background. Then we selected an object from undersea. We used a scale to resize our fish. Once we selected our fish we began coding. I want to see what you can remember from class. 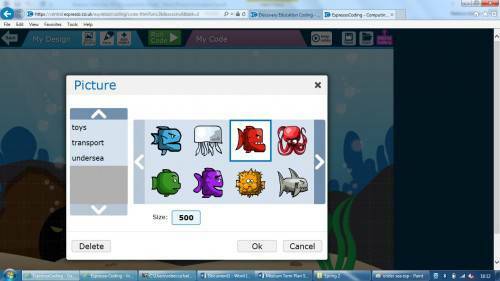 Can you write a code to move the big fish to catch the little fish using the icons in the picture? 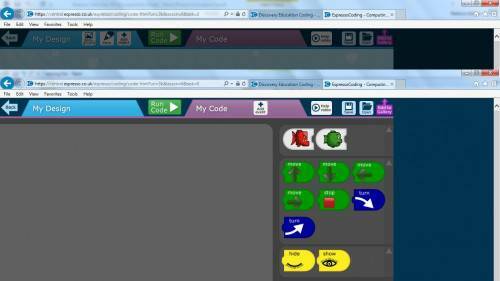 we learnt a lot from computing last term and it was fun. first of all you set in the event box the time three seconds for the small fish to go left. 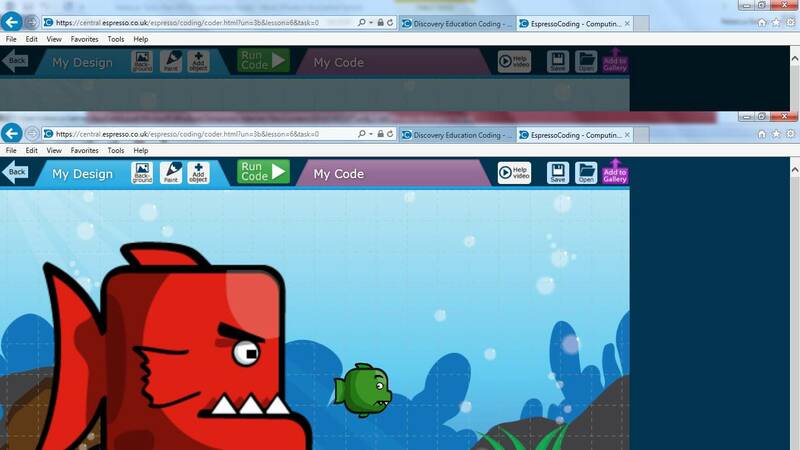 After that, you set the time for the big fish to go after 6- 7 seconds then drag the arrow to go left then run code. first you press my code and you put the big fish into the event box and put what direction you want the icon to go in and the amount of seconds after you want it to go and then press run code. I dragged the princess into the event box. Then I put the arrow key next to it and pressed run code. you drag the icon to the event box that has a picture of a fish . Then you get a arrow to choose which way the fish will go . Then you choose which way the big fish will go. Click run and it will start. 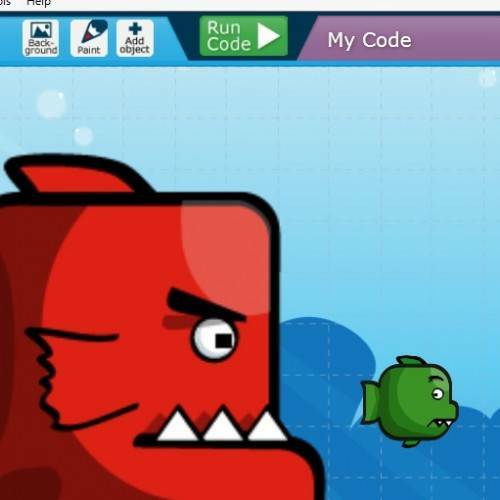 first I went my code.Then I dragged the big fish to the vent box.then I did the same to the small fish.i pressed run then the fish ate the small fish. The way to get the big fish to the small fish is to put the big fish icon in the event box.Put the right arrow in the event box.Get the small fish icon and put it in.Make the small fish stop at 3 secs and the big one 4 secs.